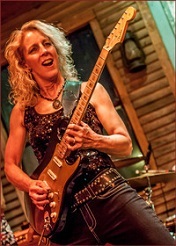 A tall, blue-eyed blonde walks onstage and rips into a high-energy blazing guitar lead, propelled by the thumpin' blues rockin' backbeat erupting from her band. Heads bob and bodies pulsate as that intense and beautiful symbiosis has begun: a passionate, no-holds-barred, heart to heart conversation between artist and music lover. 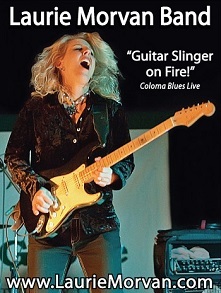 Laurie Morvan: "Guitar Slinger on Fire!" LMB's fresh energy fires up the crowd! 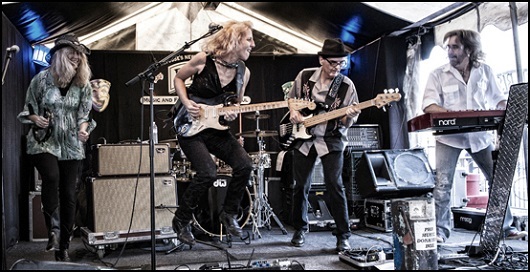 The LMB will get the crowd on its feet and rocking the blues, right from the first moment Laurie wails on guitar. Fans love the band's high-energy, tight-as-nails arrangements. People really connect to Laurie's songwriting and enjoy her funny and poignant quips between songs. 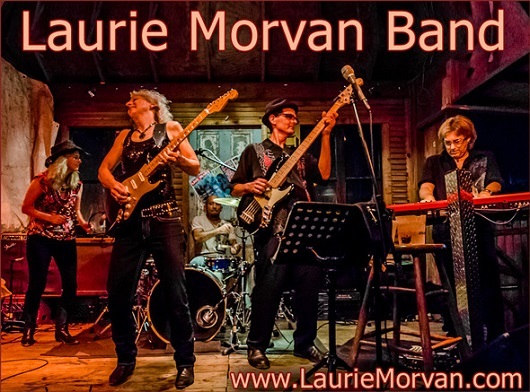 The Laurie Morvan Band DELIVERS BIG every show! 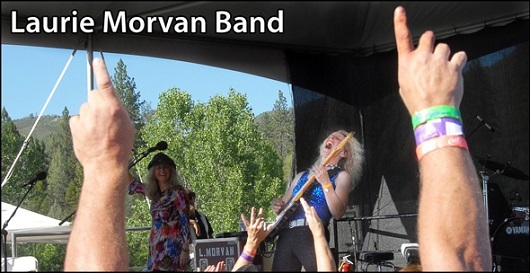 www.LaurieMorvan.com - the official Laurie Morvan Band website. Live Video - includes the LMB's nationally released half-hour TV special filmed live at the Ellnora Guitar Festival, as well as live footage from other festival performances and club dates. 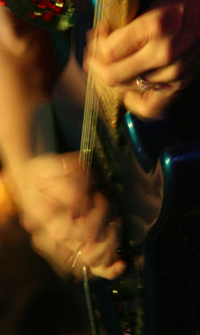 Music Page - hear for yourself the sound the LMB will bring to your event. Press Page - read the band's outstanding CD and live show reviews from heavy hitters in the national media as well as regional publications.